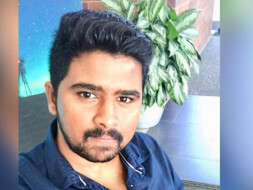 Hello every one, he is my brother in law Bhargav Reddy, he passed away unexpectedly due to Cardiac arrest in US, he is great lost for our family, he is the eldest son of his family, parents were hoping he is future of their family, this unfortunate incident made them to go into depression. donate any amount, will be appreciated, help his family whom he wished to support, Please share this link to others. Thank you all for your immense love and kindness shown towards our cause. 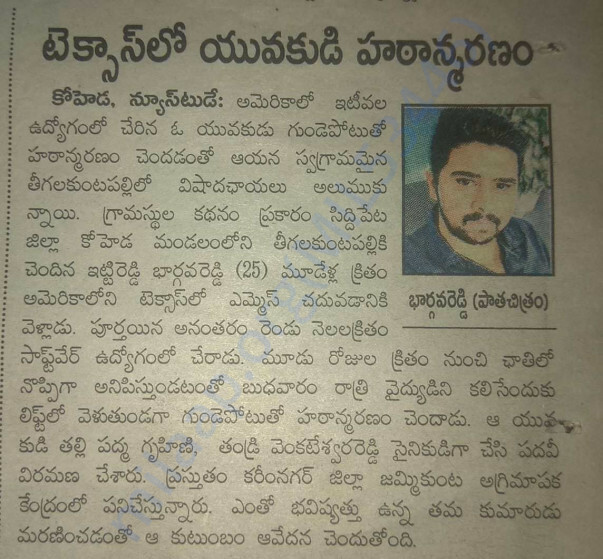 We are utilizing the funds for Bharth Reddy's education purpose (younger brother of Bhargav) and also for clearing the loan. The family is need of funds to manage the daily expenses. Thank you all! Please continue to share the campaign. Thank you so much for all your support and I would like to thank each and every one who helped us in raising the funds. Till today We are able to collect a fund money of approx 2,15,000Rs, still looking forward to raise more money with your help. I will be withdrawing this amount to Bhargavs father account, I.R.V Reddy to UNION BANK, I will be attaching his account details copy to this. This money will be directly getting transferred to Bhargavs father account. Once again thanks to everyone and I hope to continue the same.